A fascinating account of life on the International Space Station-and how Scott Kelly made his way there from his start as a high school slacker. I read this book with amazement at the variety and complexity of what I thought were simple creatures. Every colorful marking, every anatomical structure, every movement of every fish has a purpose which we have yet to fully understand. But this book took me way beyond what I knew about fish and revealed mysteries, some of which are found on Lake Erie beaches! I read this with Google images at hand to see in living color the fish that Helen Scales (great name!) describes. Although this book has been out for a while, it is still one of my absolute favorites. Father Boyle is a speaker at events around the country, including Cleveland, and is the subject of a documentary film and the winner of many awards. He is to the gangs of Los Angeles as Brandon Chrostowski is to ex-felons in Cleveland. Not a how-to or an autobiography, but an amazing testimony to people at the moment when they realize they are loved. Humorous at times, and very touching and inspiring. Educated is an exceptional memoir of a shocking childhood. Tara Westover's strict Mormon parents didn't allow her or most of her siblings to go to school. Her "homeschooling" consisted of making essential oils in her mother's kitchen and scrapping for metal in her father's dangerous junkyard. This is the story of how Tara was able to take charge of her own education, eventually obtaining her PhD from Cambridge University. A riveting read; You won't be able to put it down. A wonderful, upbeat account of life in the Obama White House. An intimate look at what it’s like to be a speechwriter for the president. Irresistible. This is the fascinating story of the Great Lakes watershed of which we are lucky to be a part. It is not dry (pun intended) but very entertaining and informative. It’s a good read to get us ready to celebrate the 50 year anniversary of the last burning of the Cuyahoga River. Ms. Kuo was part of the Teach for America program and was assigned to Helena, Arkansas. Don't expect a Hollywood story where the teacher struggles with difficult students and everything magically ends up rosy. This is a true story and the author is refreshingly honest and open in the way she deals with poverty and race. She makes real connections with her students, particularly Patrick who gets sent to prison, A compelling story which opened up to me a world I had not known before. This a “must have” for female drivers. It's a do-it-herself guide to auto maintenance, roadside emergencies, and the real scoop on how women can get honest car service at the garage. Patrice Banks was tired of feeling taken advantage of every time her car needed service or repairs. She went to night school to learn auto mechanics and eventually quit her job as an engineer for DuPont. In 2016 she opened the Girls Auto Clinic repair center in Upper Darby, PA., which is staffed by female mechanics. To make the shop more appealing and convenient for women, she also opened an adjoining manicure-pedicure and blowout salon. This book gives me such pleasure. A reminder to slow down and appreciate the simple things in life. I am NOT a gift book type of person, but this tiny book is a BIG exception. The winner of several book awards including the 2017 Pulitzer Prize for nonfiction, Evicted tells the story of eight families trying to make it in Milwaukee, Wisconsin. In it you will follow Arleen, Scott, Lamar, and others as they try to make ends meet and hold onto their homes. Matthew Desmond, in poignant detail, shows that the struggle these families face goes much deeper than bad decisions made on the part of the individual. He reveals how poverty in America is systemic, and that those at the bottom are often kept there by powerful forces. This story could easily be set in any industrial American city, including Cleveland. It is an eye-opening exploration of the cycle of poverty and how difficult it can be for people to break out of it. Dr. Hawa Abdi, a Somalian Muslim woman, is billed by Glamour as equal parts Mother Theresa and Rambo. She has stood up to militants as she cared for thousands of people fleeing violence. It is interesting to read what in the culture she thinks caused violence in Somalia. She and her daughters are so inspiring. Daniel and Phillip Berrigan were controversial, news-making brothers of our day, imprisoned for years for anti-war protests. What led Daniel to protest so vehemently, saying no to any violence against human beings--whether infirm, elderly, tiny, or even "enemy?" You must be saying "YES" to something else. In my mind, he is still controversial--defense of neighbors, near and far, is important; we are not all called to martyrdom; and his disruptions were unlike his namesake. . . And yet his analysis of the Book of Daniel is sparkling, poetic, and ending with hope and angels. A fascinating story of espionage during the Cold War. A terrific character study of spies and their handlers. Includes intricate details of tradecraft used by the CIA and KGB. Written in flowing prose that reads like a novel. If you enjoy John Le Carre try this excellent real-life version. More exciting than any fictional thriller. 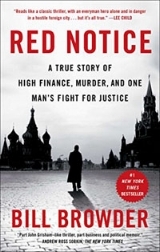 A real eye-opener into the financial workings of the Soviet Union and the perils of taking on the oligarchies. This is not light reading. But if you want a true story that examines the human heart and the complexities of family relationships, it is a gem. The author, a middle-aged New York City book editor, returns to his small hometown of Paris, Missouri to care for his 91-year-old mother, Betty, who is in failing health, but still a feisty, opinionated lady. As the two try to meld their worlds, the author reveals more and more about their relationship, past and present. Beautifully written and crafted, and with a wry sense of humor it is the story of a son’s love for his mother, his sense of family duty, and the meaning of home—even when personalities and circumstances have made his return almost that of a prodigal son. 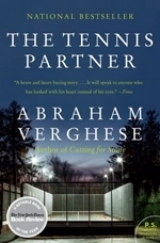 Verghese moves to El Paso, Texas as his marriage falls apart. He starts working at the county hospital as a staff physician where he meets medical student, David Smith. David is an ex tennis pro and also a former drug addict. This is a beautifully written story of their rich and complex friendship. Why would a very out-of-shape middle-aged man and a very small dog even think about climbing a 4,000 ft. peak in winter, let alone climb 48 of them? The twists and turns in this true story will have you asking yourself. . . "How on earth did they survive that? !” A touching and enduring tale of man, dog, and the greater community of life. Bubbles in a glass of beer led to the invention of one of the most important pieces of scientific equipment. The euro is the most sophisticated, counterfeit-proof money every created. Delightful facts, like these, highlight mans creativity and eccentricity. In a saucy style, the author helps us appreciate the most fundamental of resources, the elements, and old ideas, which we build on, reject, or re-embrace. Not many authors write a first book that immediately becomes a NYT bestseller. 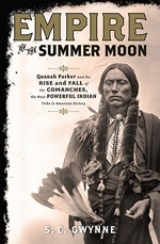 If you have any interest in the old western frontier or perhaps just enjoy a very well-written history book, look no further. True story of a baseball prodigy sidelined by WWII. A decision to teach German POW’s baseball changes his life forever. A moving and enjoyable story about baseball and the pursuit of a dream. It was one of the boldest rescue operations of WWII – getting over 500 downed airmen safely out of Yugoslavia. Courage, daring and political intrigue in abundance. But, why was the story buried for 50 years? 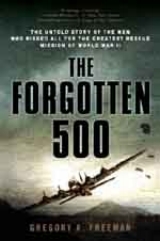 A great read for history buffs and adventure fans alike.